Some might call her a wordsmith. Others might argue she’s a puzzle solving pro. 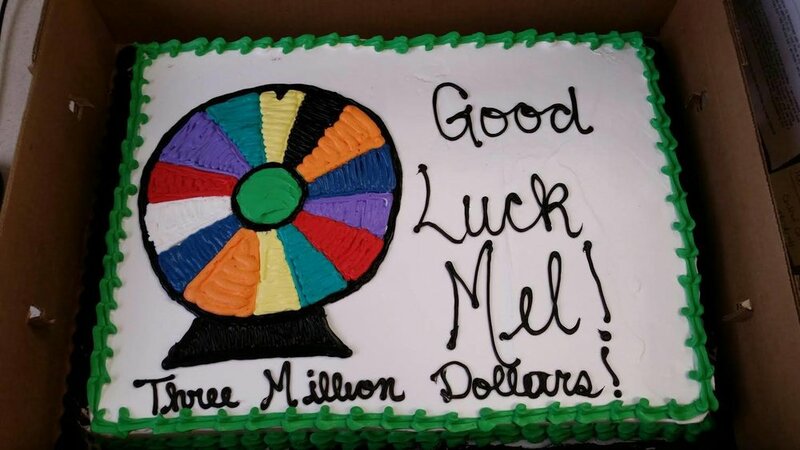 No matter which way you “spin” it, Mellissa Wahl is one lucky lady. This month she’s showcasing her letter lingo on the nationally televised game show Wheel of Fortune. The journey began with a text message last summer. 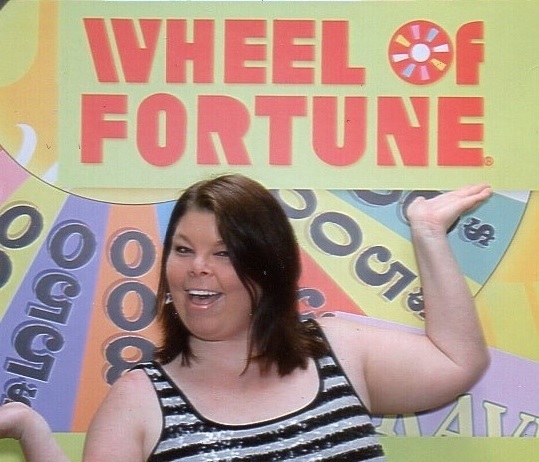 “My step-mom wrote telling me the ‘Wheel of Fortune Wheelmobile’ would be in Forsyth, Illinois--and I knew I had to go!” Each year, the bright yellow Winnebago hits the road searching for Wheel of Fortune contestants. “There were about 400 people there,” Mellissa recalled. “I was brought on stage to solve a puzzle--but couldn’t figure it out.” Still, there was a glimmer of hope. If the casting agents liked what they saw, (personalities included) they’d follow up with those attendees. A short time later…Mellissa received an invitation from Wheel of Fortune for a final audition in Springfield, Illinois. “About 80 people were there, including show producers. They said, ‘we want outgoing energetic people full of enthusiasm--and good puzzle solvers.’” The producers released some people halfway through the afternoon. But they asked Mellissa to stay for an interview. The crowd, including the show producers roared. A short time later…Mellissa found out she made the show. At the studio, she quickly learned playing Wheel of Fortune at home is dramatically different than on stage. “The cameras are kind of distracting—in fact, they’re pretty much right in front of you. The letter board is also at an angle which is different than what you see on TV,” she explained. Before going on stage, Mellissa had her hair and makeup done—and met Vanna White. That’s exactly what Mellissa did. You can catch that exotic display on April 14 at 6:30 p.m. central time. That’s when Mellissa’s Wheel of Fortune episode airs. “You never know until you try,” she said. Watch Mellissa represent Normal on Wheel of Fortune – Thursday April 14—6:30 p.m. central time! Send YOUR ideas to Kim’s Kind Finds!